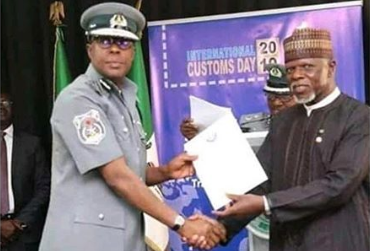 Col. Hameed Ali (rtd), the Controller General of Customs has promoted Comptroller Bashir Abubakar of Apapa Area Command who rejected a bribe of $420,000 from a drug trafficking cartel, to take delivery of 41 smuggled containers of Tramadol. He was promoted to an Assistant Comptroller General (ACG). The incident that prompted his promotion happened last year.